Ons het die baan gery met Paul se SFA! Please use this link on Google Maps. So hoe laat gaan ons die braai hou ? Laat ons so van 12h00 af braai! Is die toegang geld anders vir die wat net vir die social kom? Let us make it R50-00 per vehicle. Irrespective if you braai of drive! Drive will be self drive! Saterdag ook net 3 Hiluxe opgedaag. Jeeps was daar in hordes! Maar dit is vir die heavily modifieds. Die Jeeps weet nie wat vir hulle wag nie..
Koos, I sent you a Messenger. Please note that we are closing the entries on Friday 2nd March. With the absence of any arrangements for Club outings, who would be interested in a unofficial "Club Day" at Spookspruit 4x4 Trail on the 12th August 2017? If there is any interest I will start a separate thread. Make use of this special offer by Khwela 4x4 Adventures and Dynamic Driving to be part of this 4x4 Recovery course at a reduced rate. Spookspruit is always available for the Club. N3 South very slow past Alberton due to accident just past Leondale offramp. Ek is so opgewonde ek slaap al 2 nagte nie! I'll have route markers from the N3/STanderton Offramp! Ek sal route markers opsit van N3/R23 (Standerton) afrit af! Bliksempie wrote: Hoe laat maak julle hekke oop Johan, ons wil graag kamp opslaan? Hek sal 06h00 oop wees! Ek kamp ook van Vrydag af! tuff tralies wrote: Hoelaat moet ons almal daar wees Saterdag oggend? Ons drink koffie van so 07h30 af! Please give me an indication who will be camping of Friday and who will be camping on Saturday as well. My 4x4 trail features in the November issue of Leisure Wheels. 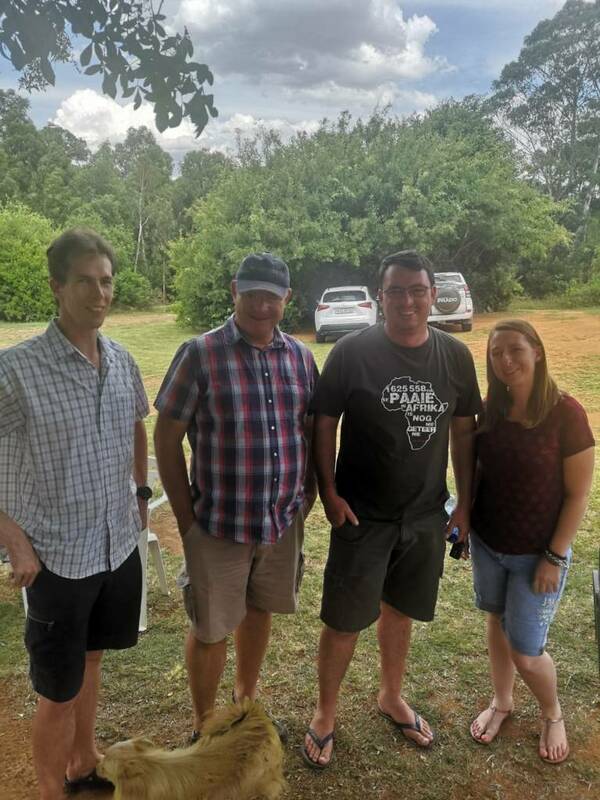 Also a write up on the Bridgestone 4x4 Club Challenge held at Spookspruit. Read Leisure Wheel's trail review of Spookspruit in their latest issue! Topic: Braai Day @ Spookspruit! 24 September 2016! We will be officially open by then with 15km+ trails to drive! For the campers please use Hanko Swart as reference as he booked 2 sites for us for Friday and Saturday night! The Legend wrote: Waar is die plek? Are we getting involved in the Bridgestone again? Topic: Call for Action: RFAD 12th March 2016! Re: Call for Action: RFAD 12th March 2016! I am waiting for a response from the Nigel 4x4 Club! I have one team so far from the forum! Stop playing with toys and get your real truck ready for the weekend! It is time you guys do something similar to the "Bridgestone" down there! You can have Sakkie to build the track for you! Topic: Hilux Club VHF Radio LIcence - How to Apply! Re: Hilux Club VHF Radio LIcence - How to Apply! We are driving Berakha on the 19th! While you guys played so lekker we secured a 5th place for the Hilux4x4 Club at the Bridgestone! Topic: Is Hilux4x4.co.za besig om te groet??? Re: Is Hilux4x4.co.za besig om te groet??? On this forum we can say what we want. On facebook it is a lot different because of the exposure! The Reverend and my clients are not interested what I say here! But it is in their faces what I say on FB! Ek verstaan die grappie en of dit nou Hilux, Ranger of Amarok is, maak nie aan my saak nie! Dis egter die taalgebruik wat daarmee saamgaan! Is Hilux4x4.co.za besig om te groet??? We are driving the Bridgestone event (Round 3) that day!